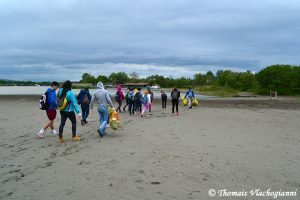 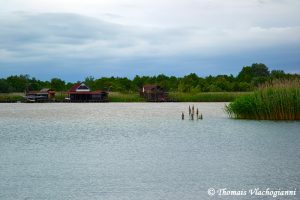 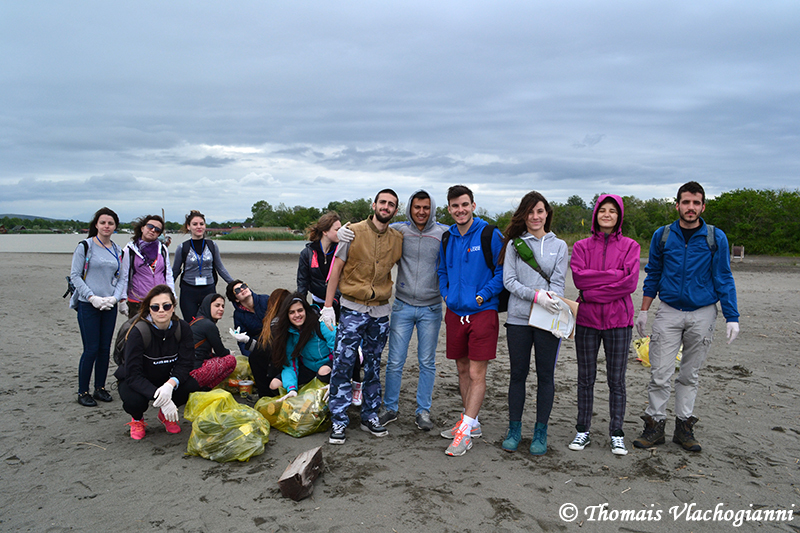 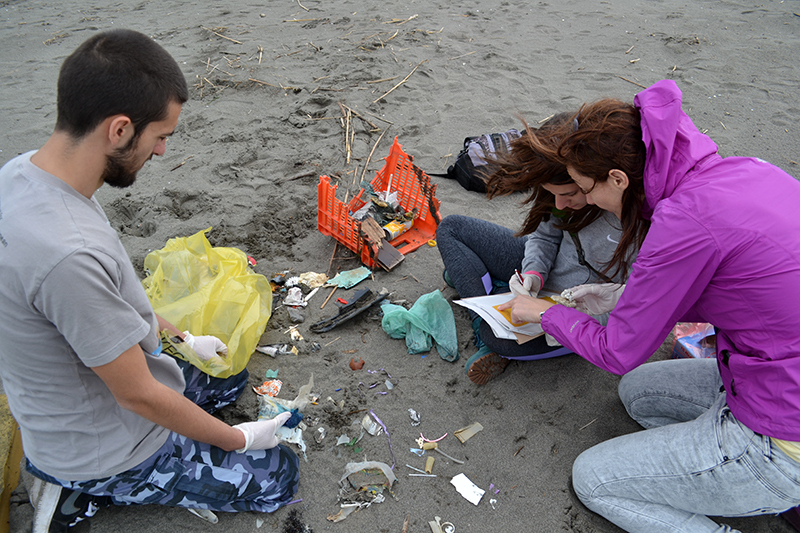 Within the framework of the Act4Drin Spring School held in May 2016, Balkan students from the Drin Riparian countries, namely Albania, Former Yugoslav Republic of Macedonia, Montenegro and Greece carried out a marine litter survey at the Buna/Bojana delta. 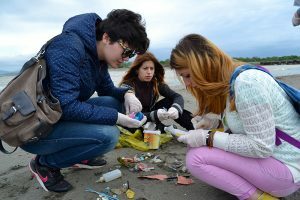 Based on the beach monitoring methodology (find it here) prepared by MIO-ECSDE in collaboration with partners of the IPA Adriatic funded DeFishGear project, students surveyed the shores of the Buna/Bojana River, which pours into the Adriatic Sea forming a rare example of a natural delta. 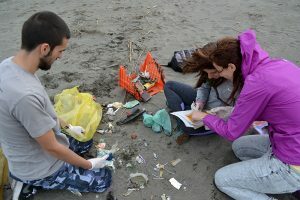 The findings of the survey indicate that the majority of items collected are plastic (90%). 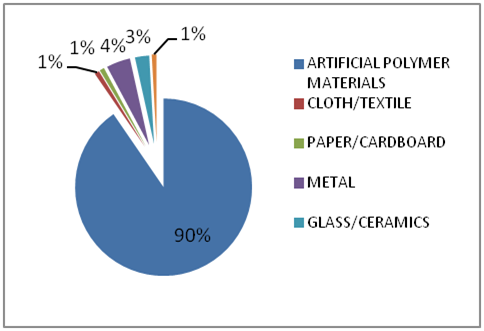 The top 10 items inlude food containers (~10%), plastic caps/lids from drinks (~10%), plastic rings from bottle caps/lids (~8%), plastic pieces (~6.5%) and polysterene pieces (~6.5%), cotton bud sticks (~5%), industrial packaging (~4%), foam (~4%), processed timber (~4%), plastic caps/lids unidentified (~3%) and foil wrappers (~2%). 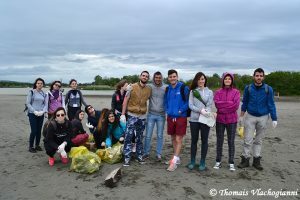 These are just some preliminary results and definitely more regular surveys are needed to identify the main sources of litter in the area, however these first data indicate that the majority of litter originates from coastal tourism and recreational activities, while the increased presence of sanitary related items such as cotton bud sticks reveal inputs from sewage discharges into the river. 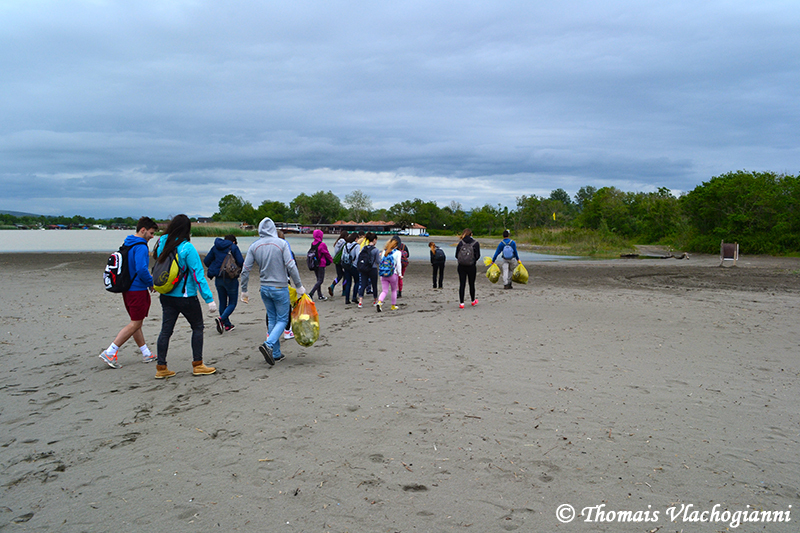 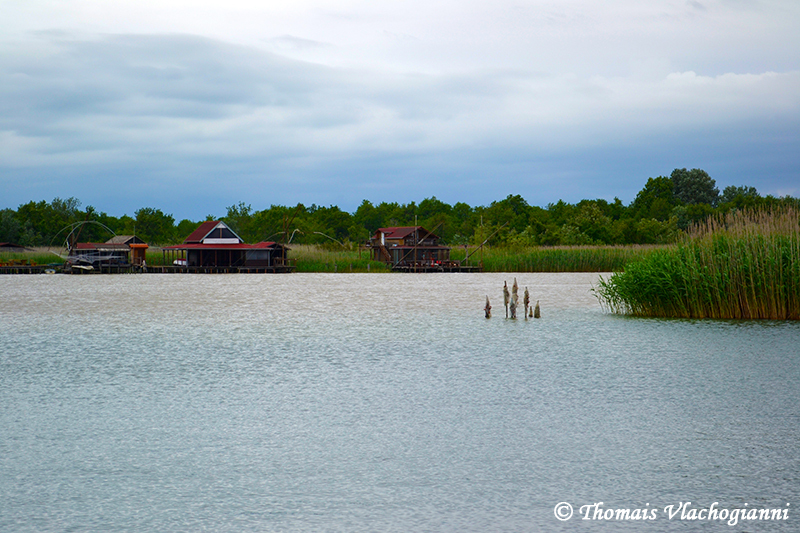 Buna/Bojana acts as a pathway of litter and releases them into the marine environment highlighting the need for better management of waste along the extended Drin River Basin. This marine litter survey was a hands-on exercise of the Act4Drin Spring School 2016, which was carried out within the framework of the CEPF (Critical Ecosystem Partnership Fund) funded Act4Drin project aiming at raising public awareness, enhancing knowledge and empowering NGOs to protect and conserve freshwater ecosystems in the Drin River Basin. 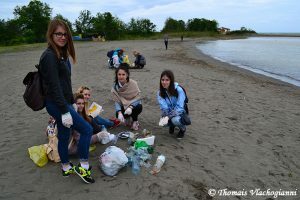 The Spring School was organized by MIO-ECSDE in collaboration and with the support of BIOSFERA, EDEN, MES, GREENHOME, GRASHNICHA, PPNEA, PROGEO, SOCA TRIPS and the University of Tirana, under the auspices of the University of Korca.